Sold for $122,500 in November 2009 - today's value much higher. 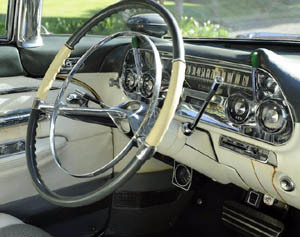 This 1958 Eldorado Brougham was first owned by Frank Sinatra. 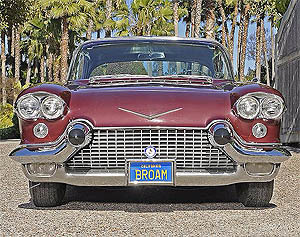 Cadillac's Eldorado Brougham is the superlative automobile of the Fifties, a coach built luxury car hand crafted to the highest standards and outfitted with every luxury, appointment and accessory known to Detroit at the time. Flamboyantly but tastefully styled and extravagantly expensive at $13,074, the Eldorado Brougham expressed exclusivity in every line and feature. 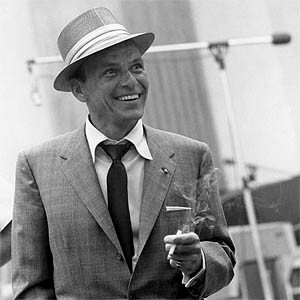 No wonder only 400 were built in 1957 and just 304 in 1958.